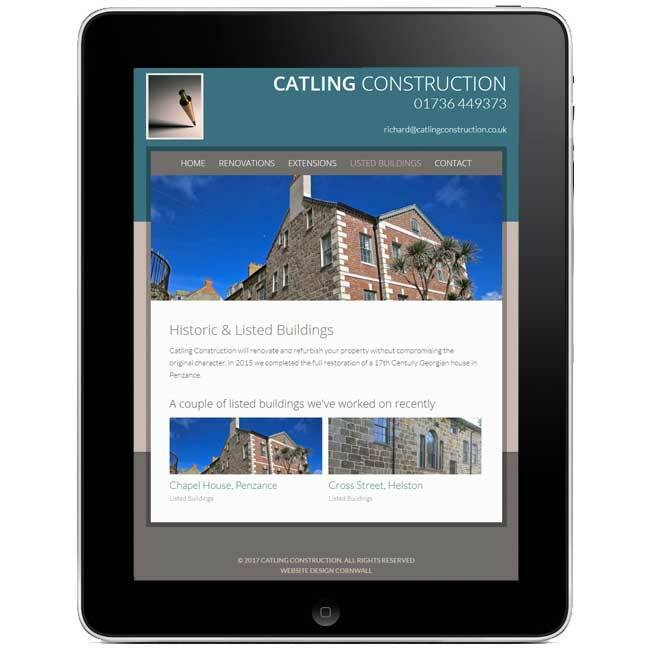 New website for Penzance based building firm Catling Construction. 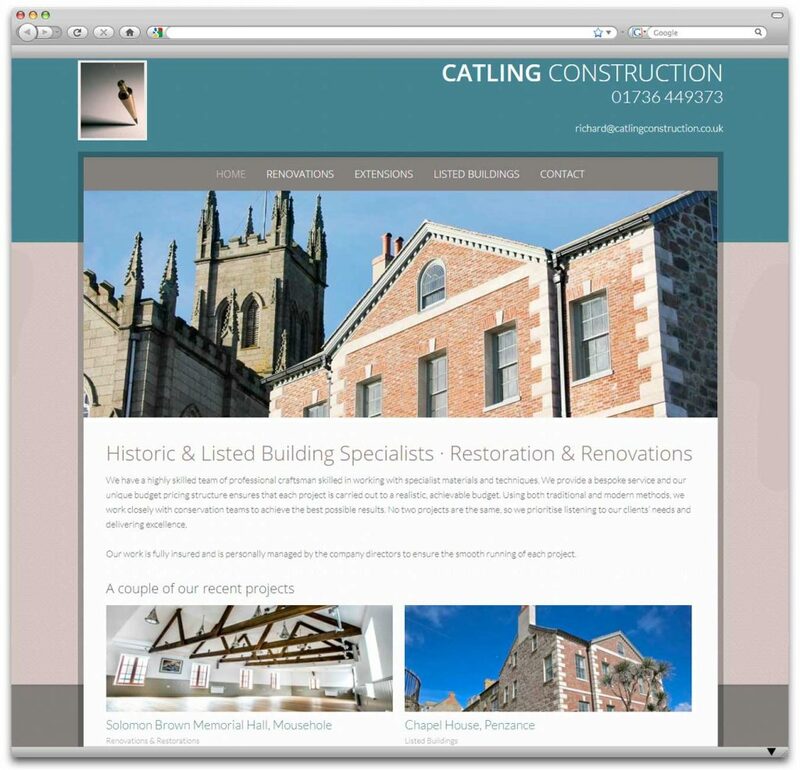 They needed to bring their website offering up to date to showcase some of their more recent projects and highlight their main types of building projects (renovations, listed buildings & extensions). The website was built using WordPress and set up so that they can add new projects in as needed and they will be automatically added to the correct section of the website.